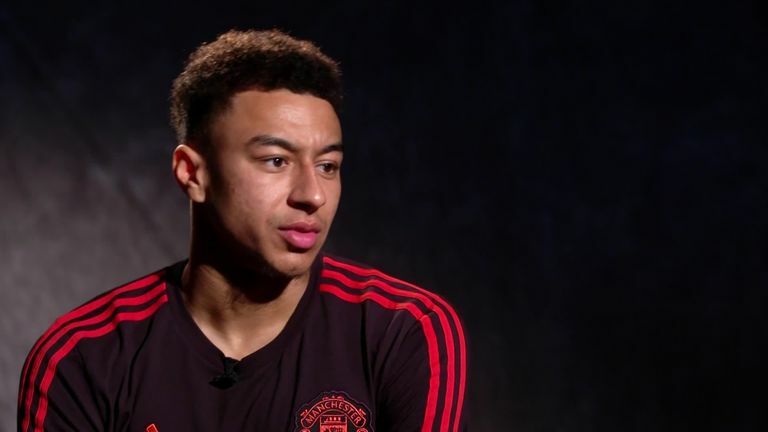 Jesse Lingard understands why there has been frustration at Manchester United's form this season but believes they are ready to become more consistent. Jose Mourinho's team failed to win at Old Trafford for the seventh time since the summer as they were held to a 2-2 draw by Arsenal on Wednesday. The manner of their comebacks as they twice came from behind provided encouragement, however, and Lingard hopes the match can be a turning point in their campaign. United remain eighth in the Premier League - 18 points behind Manchester City - and ahead of their clash with Fulham on Saturday, the England international appreciates why there have been concerns among fans. "That's obviously understandable," Lingard said. "We're the biggest club in the world and United are expected to beat teams 3-0 and 4-0. "But sometimes you have dips and you come back from that. It's how you react to all the noise, the press and stuff like that. "Once you're on the pitch and you've put the shirt on, it's then down to you to perform and play well. As long as you are putting 100 per cent in week in, week out, no one can say anything. "Everyone is always ready to play, everyone is always ready to give their all and no matter what team we put out, we're ready to do that job." Lingard feels United's midweek performance left Mourinho happy, despite the Portuguese ruing the mistakes which gave Arsenal their goals. The midfielder added: "He was happy we showed that fight, which I think he wanted. That was the main point before the match, to start quickly and put them on the back foot. "We did that and it was a shame we couldn't go on to get all three points. It was an entertaining game, it was end to end."